Play the pre-opening before official service launches on July 26. Action RPG The King of Fighters All-Star is now available for iOS via the App Store and Android via Google Play in Japan. While official service will not begin until July 26, this pre-opening service provides access to all in-game content, including the pre-registration campaign rewards. And data from the pre-opening can be carried over to the official service. However, it should be noted that there may be final game balance adjustments and emergency maintenance depending on the situation, and that there is a possibility of gameplay data from the pre-opening being rolled back. The King of Fighters All-Star is a mobile action RPG with easy to use controls that enable the flashy skill actions and exciting combo actions of The King of Fighters series. Fighters from previous entries in the series will appear, from The King of Fighters ’94 to The King of Fighters XIII, represented without change in their original form and with the highest level of graphics quality. There will also be character voices and sounds, as well as special moves, super special moves, and combos faithful to the original works. 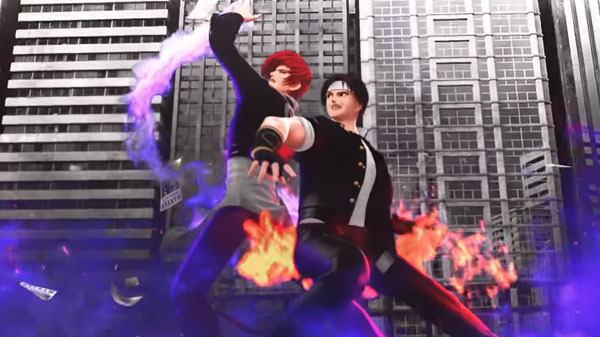 A King of Fighters All-Star-original story and characters will also appear.